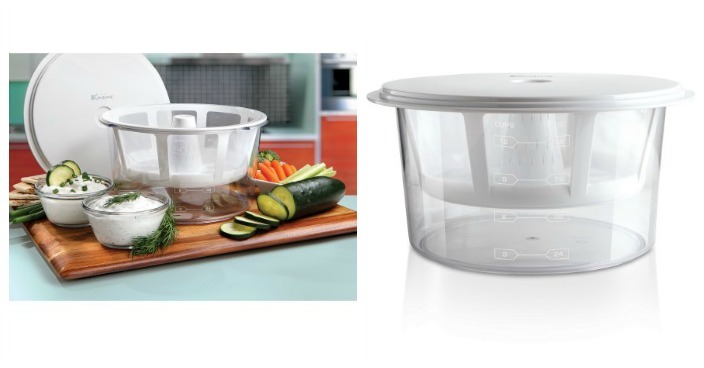 Euro Cuisine Greek Yogurt Maker Just $16.20! Down From $25! You are here: Home / Great Deals / Euro Cuisine Greek Yogurt Maker Just $16.20! Down From $25! Right now you can get this Euro Cuisine Greek Yogurt Maker for just $12.99 (Reg. $20) at Walmart! With the Euro Cuisine Greek Yogurt Maker, you can prepare your favorite Mediterranean dishes quickly and easily. This model features a unique strainer kit that is BPA free. It can transform up to 2 quarts of ordinary homemade yogurt or store-bought fare into something thick and creamy in a matter of hours, all from inside your refrigerator. Make like a pro chef and create healthy dips and spreads, delicious Tzatziki, low-calorie salad toppings or sweet berry desserts with the Euro Cuisine yogurt maker. The package also comes with simple instructions and recipes for using yogurt cheese. Whipping up tasty exotic dishes is now made easier with this homemade yogurt maker.